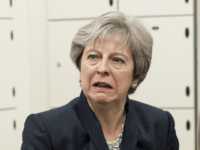 Theresa May has secured some last-minute concessions on her proposed deal with the European Union ahead of Parliament’s second vote on it. 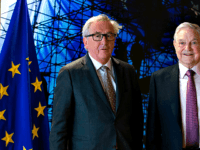 BUCHAREST, Romania (AP) – The European Union and Britain’s prime minister are seeking new ways to avoid a no-deal departure of the UK from the bloc but the EU Commission president insists there cannot be a renegotiation of the draft Brexit deal. 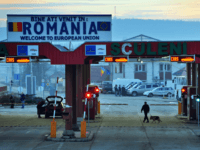 BUCHAREST, Romania (AP) – Romanian officials on Monday slammed European Union officials for treating it as “a second-rate” country as it prepares to take over the EU’s rotating presidency. 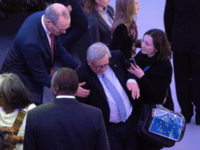 European Commissioners and other eurocrats are receiving substantial pay rises for Christmas, while the unelected executive’s controversial president Jean-Claude Juncker was pictured having to be “supported by two employees” at a festive dinner in Vienna. 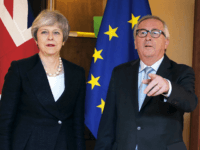 Theresa May’s position in Europe does not appear to have been strengthened after she survived a vote of no confidence in her leadership by Tory MPs, with European Union leaders granting her just ten minutes of their time to discuss changes to the “worst deal in history” which she has negotiated with the bloc. 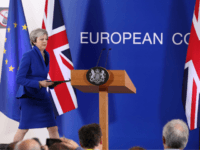 EU leaders have signed off on the Brexit agreement negotiated with Theresa May, described as “the worst deal in history” by Leavers. 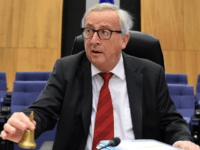 Jean-Claude Juncker has said that press freedom should “have limits” and expressed regret that the EU did not “intervene” in the Brexit referendum to make sure “the right questions” entered the debate. 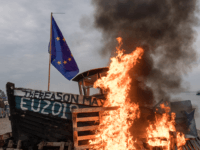 LONDON (AP) – A European Union chief says the chances of Britain and the bloc striking a Brexit deal are rising, amid reports the two sides are moving closer on the fraught issue of the Irish border. 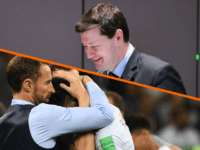 Martin Selmayr, the head of the EU bureaucracy once described as the ‘Rasputin of Brussels’, mocked England after they were knocked out of the World Cup by Croatia on social media. 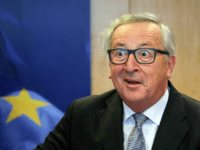 The European Commission President has opened a speech to the Irish Senate by saying he was “not drunk” but would prefer to be, before warning of a “no deal” Brexit. 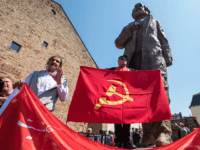 Canadian freethinker Jordan Peterson has joined anti-Communist groups in slamming EU boss Jean-Claude Juncker for unveiling a statue in honour of Karl Marx. 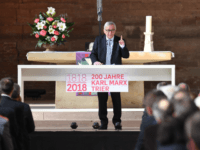 EU boss Jean-Claude Juncker argued Marx should not be judged for the Communist atrocities that took place in his name. 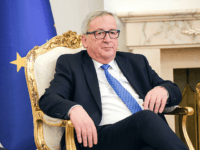 BRUSSELS (AP) – European Commission President Jean-Claude Juncker on Thursday appealed to Belgium to grant nationality to Britons who work at the European Union’s vast executive arm, as Brexit approaches next year. 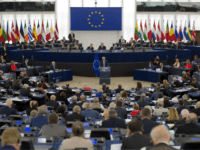 The EU is in disarray as member-states push back against its next long-term budget, which will require significantly higher payments once Britain leaves. 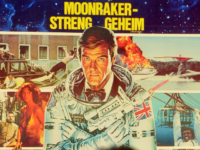 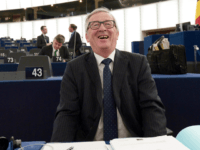 The European Union, long-promoted as a ‘peace project’ by supporters, is seeking to create a laser weapon which can disintegrate human heads. 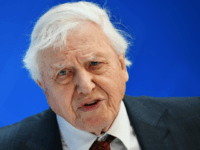 Norway’s government has signalled its support for the UK being handed access to European Union markets after Brexit, which it is likely to agree to. 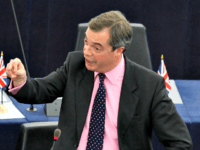 The stench of hypocrisy and the reek of duplicity remain alive and well with the EU and its camp followers on trade tariffs, writes Global Britain’s Brian Monteith. 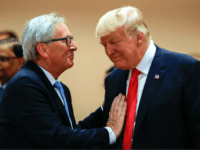 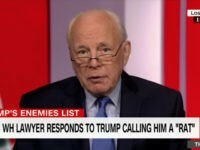 Donald Trump is getting tough on the European Union, after the bloc’s unelected leaders threatened to levy punitive tariffs on iconic American brands in response to his attempts to protect American steelworkers. 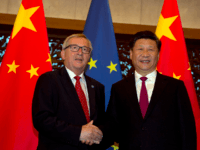 The European Union is poised to drag Britain into a damaging trade war with the United States, as Brussels prepares to retaliate against measures designed to protect American metalworkers. 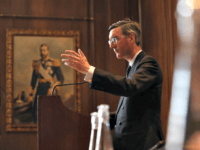 The European Union has backed down from its plans to insert a ‘punishment clause’ into its Brexit deal with the United Kingdom, after leading Leave campaigners including Jacob Rees-Mogg said the country would not “roll over” for Brussels. 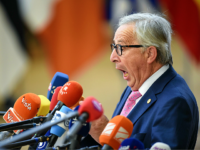 BRUSSELS (AP) — European Commission chief Jean-Claude Juncker is maintaining the offer for Britain to remain in the EU even after both sides have entered the second phase of their divorce negotiations. 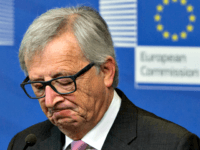 The president of the European Commission has said he thinks Brexit will go ahead and there will not be a second referendum, whilst warning remaining member states they will have to pay more into the bloc’s budget. 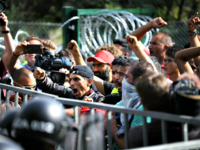 Countries which “do not want to open the door” to Muslim migrants and try to “protect Christianity” could “destroy Europe”, claims the EU’s longest-serving foreign minister. 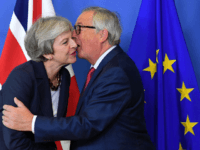 Alleged details of a meeting with EU leaders have been leaked, and suggest Theresa May is “begging” and “weak-spirited” at the negotiating table. 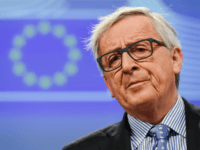 The President of the European Commission has said he does not believe the British have made “sufficient progress” on the EU’s demands, insisting “they have to pay” before the Brexit negotiations can progress to trade talks. 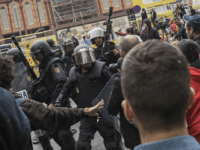 The European Union has doubled down on its support for police brutality in Catalonia, with European Commission First Vice-president Frans Timmermans dubbing it “proportionate use of force”. 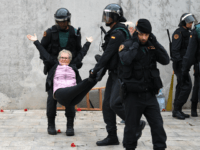 The EU has broken its silence on the violent suppression of Catalonia independence referendum, with the Commission backing Madrid and the Vice-president of the European Parliament branding the vote a “nationalistic coup against Europe”.